This week California Senate leader Kevin De Leon introduced a bill that would require utilities to procure 100 percent of their electricity from renewable energy sources by 2045. De Leon introduced Senate Bill 584 on the same day the U.S. Senate approved Oklahoma Attorney General Scott Pruitt as the head of the Environmental Protection Agency. 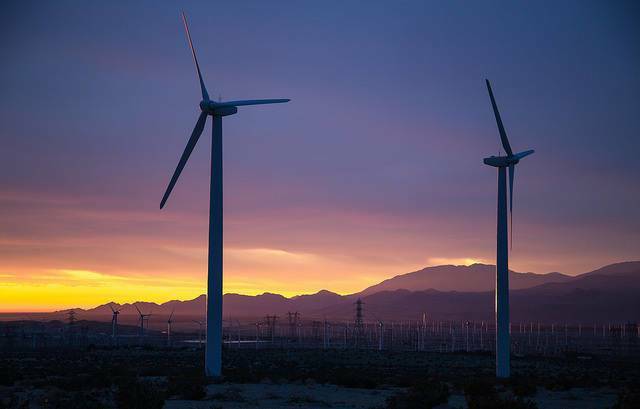 California’s current renewable portfolio standard (RPS) requires that utilities procure 33 percent of their electricity from renewables by 2020. De Leon’s bill would bump that up to 50 percent by 2025. Such a lofty target would likely not be a problem for the state’s three biggest utilities, which served 27.6 percent of their retail electricity sales with renewable power in 2015. Each of the three utilities is under contract to procure over 40 percent electricity from renewables within four years. Only one state in America has an RPS that is as ambitious as the one De Leon proposed: Hawaii passed a bill in 2015 that also requires utilities in the state to obtain 100 percent of their electricity from renewables by 2045. De Leon is doing more than introducing state senate bills. He is standing up to the Donald Trump administration. De Leon also alluded to Trump’s immigration policies in his statement on Pruitt’s confirmation. “Our commitment to balancing quality of life and economic growth is a primary reason why California remains a magnet for immigrants from all over the world and will continue to be America’s capital of technological innovation,” he said. With California in the hands of political leaders like De Leon and Brown, it is clear that the most populous state will continue to lead when it comes to the environment, even if it means opposing Trump’s policies. And maybe, just maybe, the old political adage will come true that as California goes, so goes the nation.